Live your best life in Mainstreet, Richmond Hill! This beautifully updated, 1.5 story home includes thoughtful appointments throughout! Hardwood floors and tile in all common spaces, granite counters in kitchen, light and breezy feel. Spacious, vaulted ceilings in living room. 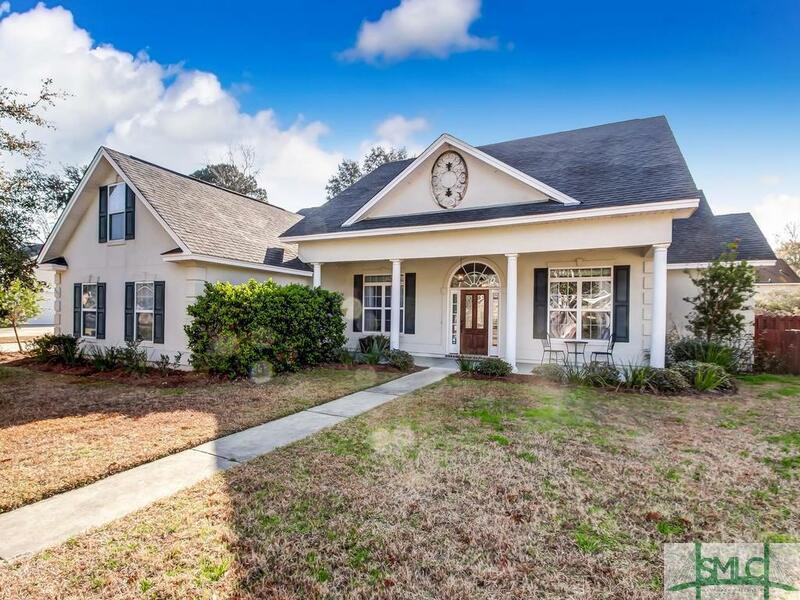 Formal dining and eat-in breakfast area, split floor plan includes large master with tray ceilings, en-suite with separate soaker tub and shower, double vanities, & walk-in closet. Upstairs includes guest suite with full en-suite bathroom, and large bonus room! Perfect for a playroom, extra guest room, craft room, etc! The exterior includes a fully-fenced, private backyard with screened gazebo. Beautiful landscaping adorns the front yard. All this home needs is a new owner, completely move-in ready. Short walk to elementary schools. 25 minute drive to Fort Stewart. Easy access to I-95!